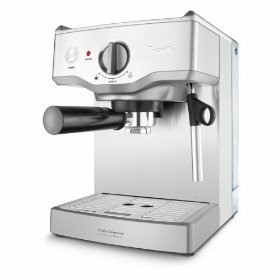 Espresso coffee makers that we are using are mostly breville and the Mr. Coffee – that’s just it. But if you are gonna ask me on what I usually like to use, I can say that I like to use the Breville. Breville is one of the most underestimated coffee maker in the market today and you wont think that it can make a great coffee as it is not really advertised too much, but once you get to try it, you would be amazed that it is even better than most of the coffee makers in the market today. So Breville is what I usually recommend.